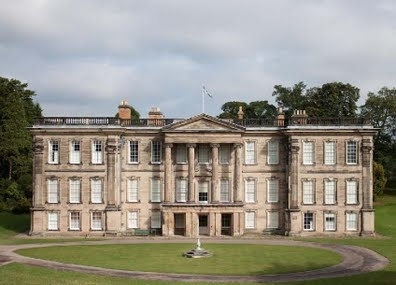 In their free talk and slideshow, Ken Johnson and Anne Majusiak will give a fascinating look at one of England's most unusual houses from a bygone era: Calke Abbey of Derbyshire. Calke's eccentric Harpur-Crewe family is connected to Bristol lumberman Andrew Johnson, a distant relation through his mother to the last remaining heirs of the legacy. By the 1800s the Harpur-Crewe family had created the epitome of an English "country house," with a large estate and an enlightened owner living among his tenants and acting as a leading figure in county affairs. Later, the family also became know for their reclusive eccentricity. One of the most fascinating members of the family was Sir Vauncey Harpur-Crewe, who preferred nature to people. Sir Vauncey established an enormous collection of several thousand bird specimens, with glass cases invading every floor of the house. In 1985 the large "country house" and park were turned over to the British National Trust in lieu of 10 million pounds in inheritance taxes. When researchers from the national Trust examined the building, they found a house that hadn't been changed in over a century and a family that appeared to have never thrown anything away. All sorts of "weird and wonderful items" were found behind locked doors, drawn curtains and under dust covers including museum worthy treasures juxtaposed with enormous collections of minerals, fossils, nests, birds' eggs, butterflies, bones, books and a multitude of portraits of people and animals alike.